This type of oversight prompted the Hospital Corporation of America (HCA) to conduct a pilot program using an electronic system that automates and manages clinician notification of incidental findings. The use case has proven so successful, including saving several lives, that HCA is rolling out the program to more of its hospitals and applying the technology to additional areas, including gastroenterology and cardiology. 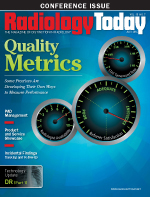 Despite the need and emphasis on closing the communication gap, most radiology staff find it difficult to keep community practices informed of significant and critical test results in a timely manner. A study in the Journal of General Internal Medicine (2012;27(10):1334-1348) reported that, in a systematic review of studies, physicians failed to follow up on as many as 36% of radiology reports. The problem is due in part to the sheer volume of exams being ordered across all modalities. According to a 2004 study, the typical primary care physician reports receives 40 radiology reports, and 12 pathology reports per week (Ann Fam Med. 2004;2:327-332). Another factor for hospitals, imaging centers, and other health care organizations is the problem of no shows for scheduled appointments. Missed appointments not only lower operating margins but also can delay or compromise treatment. An appointment reminder system within Notifi generates time-sensitive communications to patients and their caregivers. Since an organization controls it, staff can customize messages and alter dates and times to accommodate changing schedules.